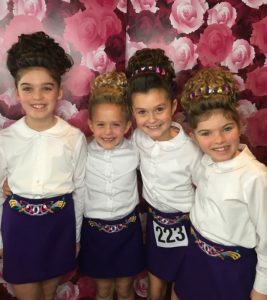 The Goulding School of Irish Dance has been a traditional and competitive dance school for over 20 years. Its dances consist of cultural and modern routines that have been showcased locally and internationally. Goulding School dancers have made special appearances with Grammy award-winning groups, including the Chieftains, Cherish the Ladies, and Riverdance. The school welcome dancers of all levels.